Personal connections are the key to professional success. Through the wide variety of events offered to members of Women Grow, trustworthy business relationships sprout from the face-to-face interactions of our members. We produce professional networking events, local social events, regional education symposiums and national speaking circuits where aspiring professionals can connect with current cannabis business leaders. Our Speakers Bureau Events offer the opportunity to engage and connect with the visionary leaders whose combined effort and ingenuity prove the argument that prohibition failed. The daily business challenges faced by our Speakers Bureau members as they navigate our burgeoning industry adds to the depth of knowledge and business acumen their presentations offer. Continuing education is crucial to success in the cannabis industry. With government regulations and market forces constantly shifting, timely and accurate information is critical to build profitable and socially responsible business models. Through local Educational Symposiums and national Women Grow Speakers Bureau Events, we provide our members with relevant content from experienced leaders on current topics in the cannabis industry. Together we have more power. As the cannabis industry grows on a national and global scale, women have the opportunity to build a new American industry from inception and redefine the workplace to create environments in which we can flourish and define our own destiny, and cultivate the next generation of industry leaders. Chanda Macias, MBA, PhD is the Chairwoman of the Board of Managers and CEO for Women Grow. She is also the CEO and the owner of National Holistic™ a cannabis and hemp healthcare enterprise. National Holistic™ Healing Center is the leading medical marijuana dispensary in Washington DC. National Holistic™ Healthcare proudly produces CBD and cannabinoids as an alternative and natural product. Dr. Macias also expanded her footprint through Ilera Holistic Healthcare which partnered with Southern University, which is one of two cultivation/processing facilities in the state of Louisiana. She serves on the Board of Directors for the Minority Cannabis Business Association, Treasurer and Secretary of DC Medical Cannabis Trade Association and is a proud member of Americans for Safe Access. Dr. Macias earned a PhD in Cellular Biology from Howard University, and earned her MBA from Rutger’s University in Supply Chain Management. As a Research Scientist, Dr. Macias investigated oral diseases and possible treatment options at Colgate-Palmolive Company, a Fortune 500 Company. She contributed to the launch of several billion-dollar brands. Her innovations have resulted in numerous scientific achievements including publications, compilations, U.S. and Global Patients (World Intellectual Property Organization). Born and raised in San Francisco and brought up in the arts, Arielle has dedicated most of her life to practicing many different art forms and design. Arielle graduated as a fashion design major from Parsons School of Design and developed her skills in the fashion industry of New York City. Following her time at Parsons, she gained experience working in women’s wear and later children’s wear. After years of working as a jewelry designer in the diamond industry, Arielle went back to school and received a master’s degree in marketing. Arielle has worked in Guatemala where she spent time supporting artisans with new branding strategies for their small businesses. This rewarding experience revealed to her how marketing can be used to drive change and positively impact and empower women and minorities. She now focuses on public relations and social media in Washington D.C.
Arielle is honored to be a new member of Women Grow and is excited about her role as communications and social media assistant because she strongly believes in the mission of connection, education, inspiration, and empowerment. In her free time, Arielle enjoys swimming, photography, and traveling. She is also obsessed with her dog Sammy, an energetic and nutty Golden Retriever. Lauren Rudick is a Member of the boutique business law firm, Hiller, PC, in Manhattan, New York. A “recovering litigator,” Lauren practiced litigation exclusively for ten years, during which time she successfully represented clients in a wide variety of business, intellectual property, and Internet/media disputes, while contributing to the Firm’s land use and zoning practice. With a trained and sensitive eye for keeping clients out of litigation and a penchant for deal-making, Lauren has refocused her career on start-up law, regulatory compliance, and commercial and secured transactions. Lauren has also developed a niche in salvaging deals that have turned south, mitigating against legal exposure, and identifying and remedying abuse or misuse of corporate power and form. In 2015, Lauren was named a Rising Star among Top New York Metro Attorneys, as featured by Superlawyers®. Lauren is also the co-founder of Hiller, PC’s cannabis law practice. What started as a passion project in patient rights during a brief residency in California, Lauren has become one of the nation’s preeminent attorneys providing legal services to cannabis industry players in the “Green Rush.” Lauren has extensive knowledge and familiarity with cannabis law, including trends and upturns in the industry. 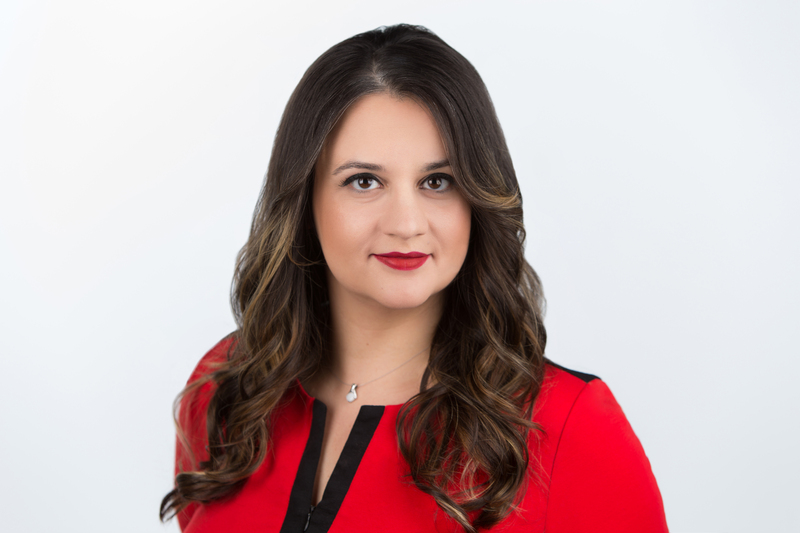 With her diverse background in corporate law, litigation, and land-use and zoning, she provides clients with the most up-to-date information necessary to operate and invest in successful cannabis and ancillary businesses. Lauren is also a regular contributor to Marijuana Venture Magazine and provides pro bono legal and advocacy services to the Drug Policy Alliance. Lauren enjoys an extensive network of cannabis professionals nationwide, enabling her to provide full legal and business services to her clients. Her representative clients include some of the most well-known and respected businesses in the cannabis space, including, among others, Women Grow. Parisa Mansouri-Rad also known as “The Marijuana Momma” is a marketing executive and Cannabis advocate whose experience as the mom of a special needs child propelled her into the industry. When spinal fusion surgery to correct scoliosis left her then 15-year-old daughter with a rare, life-threatening condition characterized by chronic abdominal pain, Parisa’s search for palliatives led her to Cannabis (Medicinal Marijuana). After witnessing her daughter’s dramatic improvement, Parisa decided to leverage her marketing experience to re-brand the maligned Cannabis industry through ongoing advocacy and education of the public on the benefits of medicinal marijuana. Parisa graduated with honors from New Mexico State University with a Major in Agriculture Business and a Minor in Marketing. She serves as Market Leader Program Director for Women Grow & President of MjMomma Consulting LLC, a Cannabis focused Marketing Agency.